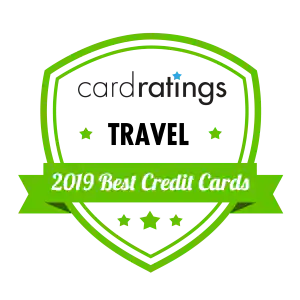 The Citi Premier℠ Card (Citi is a CardRatings.com advertiser) offers high rewards for everyday purchases like gas, tolls and parking and good-for-you splurges like amusement park trips, RV and boat rentals, and airfare. Three points for every $1 spent on travel, including gas. Two points per $1 spent on dining out and entertainment. One point on other purchases. Citi® waives the annual fee of $95 for the first 12 months. Enjoy 50,000 bonus ThankYou® points, worth $625 in airfare when redeemed through the ThankYou® Travel Center, after spending $4,000 in the first three months of account opening. Points are worth 25 percent more when you redeem for airfare through the ThankYou® Travel Center. You can redeem points at any time on any airline, without blackout dates, when you book through the ThankYou® Travel Center or redeem for $500 in gift cards at thankyou.com. While you can transfer your points to some airline loyalty programs, the list of options is short on domestic carries so cardholders that tend to fly within the United States might not be able to maximize the transferable points flexibility. Thanks to changes Citi® made in early 2015, you now can earn more points on travel (up from 2 points per dollar to 3 points). For most cards, this typically includes airfare, hotels and public transportation, but the Citi Premier℠ Card also gives you rewards for gas – which adds up quickly, especially if you’re a chauffeur for the little ones, a commuter or a road warrior. Your points are worth 25 percent more when you redeem them for air travel, cruises, hotels and car rentals through the ThankYou® Travel Center, Citi’s online booking tool. Do the basic math and a $400 purchase turns into 500 points – not a bad incentive to skip Kayak and Expedia. No foreign transaction fees. The card also has several travel protection benefits, including chip technology for enhanced security, which is a bonus when traveling abroad. One great card benefit is Citi’s 24/7 personal concierge service. Too busy to book your own travel? Use the service and a representative will book your flight and hotel. A rep can even make your restaurant reservations and help you find the perfect gift. And if you’re an avid concert goer or sports enthusiast, use Citi® Private Pass® to purchase pre-sale tickets and VIP packages to concerts, sporting and various entertainment events. The annual fee of $95 is in line with competitors, but you need to spend around $800 per month to offset the fee. If you’re a light credit card user, considering a card without an annual fee may mean more rewards for you. Another drawback of the Citi Premier℠ Card is that there’s some red tape on redeemable offers, so you’ll need to be strategic about redeeming points. Gift cards and flight redemptions will get you the most value, at 1 cent per point. Statement credits, shopping purchases and cash back offer less. To get the most benefit, redeem your points for air travel, cruises, hotels and car rentals through the ThankYou® Travel Center, where they’re worth 1.25 cents each. Earn 3 points per $1 spent on travel including gas stations. Earn 2 points per $1 spent at restaurants and on entertainment. Earn 1 point per $1 spent on all other purchases. Earn 50,000 bonus ThankYou® Points after you spend $4,000 in purchases within the first 3 months of account opening. 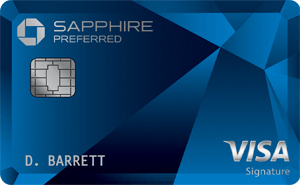 The Chase Sapphire Preferred® Card requires $4,000 in spending for the first three months to earn 60,000 Ultimate Rewards® points, which are worth $750 in travel. It's an equal required spend as with the Citi card, and a similar bonus reward, except with Citi you have the option to get $500 in gift cards when redeemed at thankyou.com. In terms of ongoing rewards, the Chase Sapphire Preferred® Card offers two times the points on travel and dining, while you’ll get three times the points on travel with the Citi Premier℠ Card and two times the points on dining out and entertainment. However, if you prefer to use your rewards points on domestic travel, Chase Sapphire Preferred® is the better option, because Citi Premier℠ Card's points transfer program includes fewer airlines and most are international. You can choose to carry a balance with interest on eligible charges of $100 or more as well. But the $250 annual fee is not waived in the first year as the much lower fee is for the Citi Premier℠ Card. That's a hefty fee. If you’re a casual spender, Citi Premier℠ Card offers better value. Terms apply. If Citi® could mold the perfect consumer for its Citi Premier℠ Card, it would probably be a suburbanite who commutes an hour to work every day, has date nights at a place sans coloring placemats and is game for a family RV adventure. If you tend to use your credit card for everyday expenses like gas, tolls, parking, dining out and going to the movies, offsetting that annual fee after the first 12 months shouldn't be a problem. 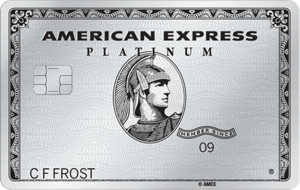 For rates and fees of American Express cards mentioned in this post, please see the following link: American Express® Gold Card (See Rates and Fees).